You will have the chance to manage a team of approximately 30 individuals in 3 core areas including: Study start-up, Clinical Contracting/Pricing and Investigator Sponsored Research. Company spans six contents, employs over 8, 000 people, and generates over $30 billion in revenue. 401(k) plan with a matching contribution of 100%. Mandy helped found ABA in 1986 with Valli Farmaian. With her love of people and innate ability to nurture relationships, she knew the staffing industry was where she wanted to be, and she hasn’t looked back since. In her role as president, Mandy spearheads ABA’s Sales and Recruiting efforts, leading the ABA team in candidate searches and development of ABA’s Technology and Legal divisions. Her extensive network of Bay Area talent and employers as well as her years of expertise in recruiting and professional placement are the key drivers to ABA’s success – earning the company a spot on the Inc. 500 as one of the fastest growing companies in the US. She has successfully completed retained and contingency search for attorneys as well as technology executives. Having established Legal as one of ABA’s core divisions, Mandy returned to ABA after three years working with the Eastridge Group. Under her guidance, these divisions provide staffing solutions to some of the Bay Area’s top technology companies as well as law firms and corporate legal departments. Mandy earned her BA in political science and French literature from the University of California, Berkeley. 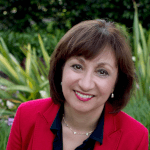 After several years of city life in San Francisco, she moved with her family to Hillsborough, CA where she remains active in the community and is a board member of the San Mateo County Health Foundation. Favorite things to do in the Bay Area: Hiking, movies, and farmers markets (and the occasional tennis game! ).